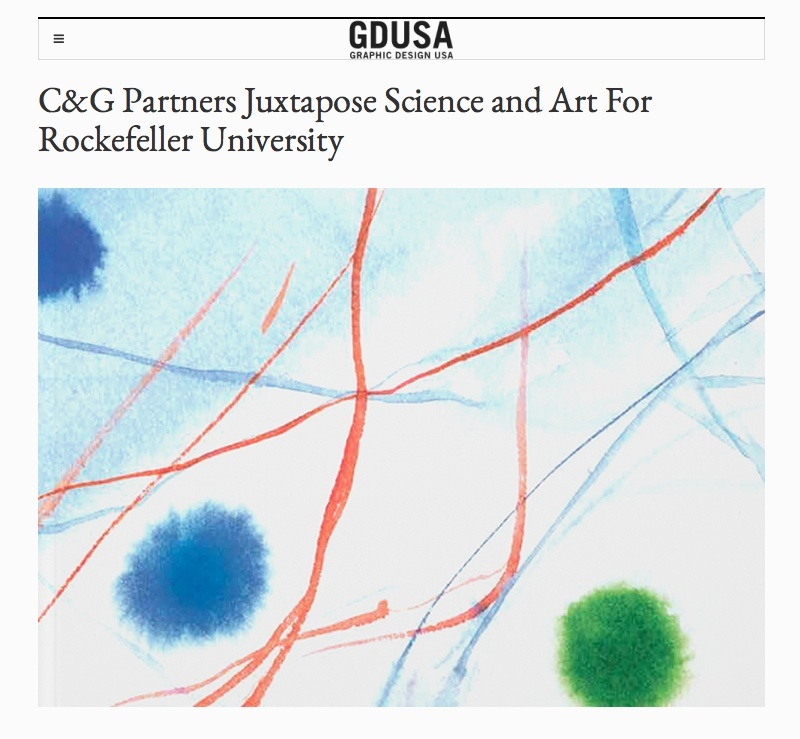 Our transformation of Rockefeller University's biomedical imagery into modern art was featured in local and international design press this week. Outlets including Design Week, Graphic Design USA, The Drum, DesignBote, Paper Blog, Q Daily, BJ Innovate, and 360Doc published our recent communications materials and website redesign for the University. To capture the institution’s innovations in bioscience in a compelling way, we took actual biomedical imagery generated in the University’s labs and transformed it into art. This visual technique is now a signature design element for the University’s communications materials.